How to build a stable relationship? “Because I am not ashamed of the Gospel, because it is the power of God for salvation to all he who believes …” Romans 1:16.
there be that find it” (Matthew 7:13-14). ment; politics has its place in human schemes. come life everlasting” (Luke 18:29-30). meth unto the Father, but by me” ( John 14:6). • The inspiration of the Holy Scriptures: 2 Timothy 3:15-17, 2 Peter 1:19-21. • The Adorable Godhead in Three Persons, Father, Son and Holy Spirit: Matthew 3:16-17, 17: 1-5; 28:19, John 17: 5, 24, 26, 16:32, 14:16, 23, 18:5, 6, 2 Peter 1:17,18; Revelation 5. • Salvation by Faith in Christ: Luke 24:47, John 3:16, Romans 10:13, Titus 2:11, 3:5-7. • The New Birth: John 3:3, 1 Peter 1:23, 1 John 3:9. • Justification by Faith: Romans 5:1, Titus 3:7. • Water Baptism by Inmersion, as commanded by Christ: Matthew 28:19, Acts 8:36-39. • The Baptism in the Holy Spirit subsequent to salvation, speaking in tongues according to: Luke 24:49, Acts 1:4, 8, 2:4. • Divine Healing: Isaiah 53:4, Matthew 8:16, 17, Mark 16:18, James 5:14, 15. • The Gifts of the Holy Spirit: 1 Corinthians 12:1-11. • The Fruits of the Holy Spirit: Galatians 5:22-26. • Sanctification: 1 Thessalonians 4:3, 5:23, Hebrews 12:14, 1 Peter 1:15, 16, 1 John 2:6. • Ministry and Evangelization: Mark 16:15-20, Romans 10:15. • Tithing and Maintenance of the Work: Genesis 14:20, 28:22, Leviticus 27:30, Numbers 18:21-26, Malachi 3:7-10, Matthew 10:10; 23:23. • The Rapture of the Church: Romans 8:23, 1 Corinthians 15:5152, 1 Thessalonians 4:16-17. • The Second Coming of Christ: Zechariah 14:1-9, Matthew 24:30, 31; 2 Thessalonians 1:7, Titus 2:13, Jude 14, 15. • The Millennial Kingdom: Isaiah 2:1-4, 11:5-10, Zechariah 9:10, Revelation 19:20, 20:3-10. • New Heavens and New Earth: Isaiah 65:17, 66:22, 2 Peter 3:13, Revelation 21:1. 44 / CAN TWO WALK TOGETHER, EXCEPT THEY BE AGREED? Rev. Ramón L. Aponte 48 / EVENTS. IT is interesting to see how couples get together. But sometimes they seem to be much in love and then something happens. Nowadays, many marriages are not as strong as they should be, and many couples make serious mistakes that steal vital energy from and jeopardize the relationship. What can we do to keep the love alive in a marriage? Marriage is in danger these days. The statistics of divorce have reached critical proportions. Family-oriented journals and magazines are constantly publishing articles with advice on how to boost blessing in a marriage, how to manage conflict, how to achieve open communication, how to honestly convey emotions, how to prevent children from ruining the marriage, how to attain a mutually satisfactory sexual life. These are just a bunch of the various subjects covered in many secular and religious publications. Despite the great amount of seemingly enlightened “know-how” literature, marriage is currently in danger because society and the Church have a defective notion of marriage, more like an idolized myth of this exquisite yet imperfect human institution. What is the result? It is difficult for two people with different religious viewpoints to be in good terms for a long time. It may work for a short period, but when disease, pain or hardship arise, each will immediately turn to their own faith for help and the gap between the two will only widen. Every marriage faces conflict, misunderstanding, shattered hopes, and wounded egos. Every real marriage, if measured with the defective measuring rod of ultimate happiness, will fall short if such is the expectation, because it will not happen. A couple is committed for life. The core of the relationship lies in taking an interest in what happens in the life of our spouse and showing them that we care enough to write a note or say something nice to keep building the relationship with positive and personal praise. in such a way that we assume that debauchery is usual and normal, when it is not. That is why Paul said, “I beseech you therefore, brethren, by the mercies of God, that ye present your bodies a living sacrifice, holy, acceptable unto God… Be not conformed to this world: but be ye transformed by the renewing of your mind” (Romans 12:1-2). We live and strive as a couple based on the praise we receive from the other. As believers, we do not want to see it because of our false sense of humility. We have the deceptive idea that it is not important to take care of our marriage, when it is in fact the core of what we are. We live and strive as a couple based on the praise we receive from the other. off your TV! And replace it with some good books or videotape on marriage. If you have not been giving your partner any personal praise, use Charles Sherfy’s recommendation: make a “praise agreement,” exchange one compliment every day and a new one every week. This way you will be able to build a marriage that will last forever. of families think that communication between parents and children is worse. How to reach family happiness? God wants families to be happy. Therefore, the Bible contains the guidelines and expectations of each family member. When this advice is followed, we obtain good results. Jesus stated: “… Yea rather, blessed are they that hear the word of God, and keep it” (Luke 11:28). Marriages that started off with golden hopes and wonderful objectives see them somehow shatter after some time. We do not know exactly what happened, but the relationship is now broken. Why is this happening? Marriage is in danger these days. The statistics of divorce have reached critical proportions. 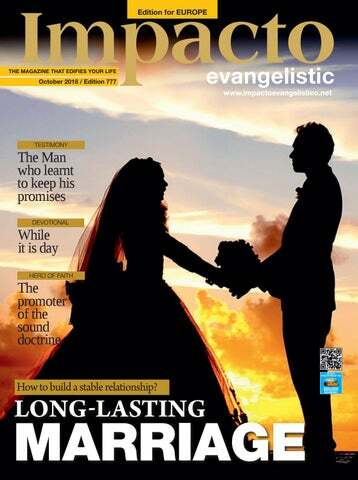 Family-oriented journals and magazines are constantly publishing articles with advice on how to boost blessing in a marriage, how to manage conflict, how to achieve open communication, how to honestly convey emotions, how to prevent children from ruining the marriage, how to attain a mutually satisfactory sexual life. These are just a bunch of the various subjects covered in many secular and religious publications. What do we have to recognize in order to have a happy family life? To have a happy family life, we should recognize that Jehovah created family. It was Jesus who said that God was our "Father" (Matthew 6:9). In effect, all families on earth exist thanks to our heavenly Father and that is why He knows what makes them happy (Ephesians 3:14,15). So, according to the Bible, what does God expect from each family member? MARA Salvatrucha is a criminal gang organization with a presence in the United States, Guatemala, El Salvador, Mexico, and Honduras. Gang members cover their bodies and faces with tattoos and are infamous for their code based on merciless retribution. Once in the gang, forever in the gang. United Stated “exported” the problem to Central America. For MS-13 gang members, “the barrio is an ethos” that includes “brutal forms of social control,” it is “part of a mythic notion that if you commit yourself to something that is bigger than yourself, you will be rewarded with respect, status and comrades who will have your back when someone from outside threatens you”, according to the article of The New York Times. Nowadays, the gang has spread to many Central American countries, and even, to a lesser extent, to South America. Their activities have contributed to turning the Northern Triangle (Guatemala, El Salvador and Honduras) into the world’s most violent place in time of peace. In October 2012, the U.S. Department of the Treasury labeled Mara Salvatrucha as a “transnational criminal organization”, the first street gang to ever receive such designation in the United States. MS-13’s initiation rituals are ghastly. Male aspirants must endure a savage 13-second beating by the other gang members. Another option is to enter the “enemy” neighborhood and kill a rival member. Besides these options, female recruits can choose to be gang-raped. Once accepted, women are protected by the Mara, and must abide by the decisions of men, which means that they automatically lose their freedom. Another well-known case is the one of Óscar Raúl Barrientos, a 19-year old Peruvian who accepted to kill his father as the initiation rite to join the gang. This murder “earned” him a tattoo on the inner part of his bottom lip that says MSX3, which represents this Mara, and him joining his “new family.” This gang targets young people between ages 10 and 16 from unstable homes, orphans and anyone incapable of surviving by their own means. Gang members stand out for their body tattoos; it is not common to see a blank space on their skin. However, designs and symbols are not randomly chosen, each has its own meaning. PASTOR Carlos Guerra talks about the growth of the Work in the world through to the media. has been overwhelming. We did not expect to get where we are now. At first, the motto was about going through the ways of America, but then “through America and the world” had to be added. Now the Work is so many places with different cultures and languages. We never imagined that we would reach countries such as India, Nepal, and Pakistan. And in such places where it is forbidden to preach, the media have become a great support for the Work over the last twenty years. Such is the case of Bethel Televisión and Impacto Evangelistic. They are reaching places where we have not been able to enter. They are a missionary branch of the Work. How was Bethel Costa Rica created? 25 years ago, God showed in a vision that He would establish a means of communication. Time passed by and it became a reality. I must say that Pastor Rodolfo González’s vision is a blessing. Peru has inspired us. God gave us two channels. It has been two years on air, there is a work team, and we have seen the results. Many souls are coming and many people are changing. We currently cover 70 % of the territory. What do you think of the evangelizing work done by Impacto Evangelistic? Impacto Evangelistic was founded as a tool to edify God’s people within the Worldwide Missionary Movement. Some time later it took an interesting twist and now it does not just inform of the progress of the Work, but it has become an evangelizing instrument. Its content is attracting non-converted people and its translations are reaching other cultures. What is your vision for the future of the WMM? This Work will keep growing. New doors open up for us every month somewhere in the world. The Church is indestructible because Jesus-Christ is indestructible, and His Word says that the gates of hell will never prevail against His Church. The Lord’s Work is above any policy, government, and antagonistic law. It will never cease to grow, until the day the trumpet sounds and we all leave this world. O SACRED HEAD, NOW WOUNDED O sacred Head, now wounded, with grief and shame weighed down, now scornfully surrounded with thorns, Thine only crown. O sacred Head, what glory, what bliss till now was Thine! Yet, though despised and gory, I joy to call Thee mine. What Thou, my Lord, hast suffered was all for sinners’ gain; mine, mine was the transgression, but Thine the deadly pain. Lo, here I fall, my Savior! ‘Tis I deserve Thy place; look on me with Thy favor, vouchsafe to me Thy grace. What language shall I borrow to thank Thee, dearest Friend, for this, Thy dying sorrow, Thy pity without end? O make me Thine forever! And should I fainting be, Lord, let me never, never, outlive my love for Thee. Be near when I am dying, O show Thy cross to me! And, for my succor flying, come, Lord, to set me free. These eyes, new faith receiving, from Thee shall never move; for he who dies believing dies safely in Thy love. Born on March 12, 1607, in the town of Gräfenhainichen, Gerhardt was a faithful servant of the Almighty throughout his life. Member of a godly family, he studied at Wittenberg University, where he learned from theologians Paul Röber and Jacob Martini, promoters of the sound doctrine, who encouraged him to use hymns as a pastoral tool. In 1642, after successfully completing his university studies, Paul began to preach the Good News. Then, he moved to Berlin, where his efforts to spread the Gospel through a series of poems caught the attention of composer Crüger. With his support and encouragement, he became one of the best hymnodists in Germany. Known for being the composer of the song “O Sacred Head, Now Wounded”, exegete Paul Gerhardt, who died on May 27, 1676 in Lübben, introduced in his famous piece an important aspect of the Holy Scriptures: the crucifixion of the Messiah. His hymn sheds a God-inspired light on the suffering of the Redeemer to save men from evil. SISTER Carmen Valencia’s book, published in 2017, presents her ideas on the duties of the wives of the men chosen by God for pastoral ministry and provides valuable Christian advice. Nevertheless, leaders must aim for excellence rather than perfection: we must do our best with the resources available. As leaders and wives of pastors, God wants us to aspire for a constant state of excellence, but sometimes we fail because we look for perfection. One of the ways to achieve excellence is to learn from our mistakes. One mistake is not the end, unless we do not learn from it. that we are God-fearing servants of the Lord? Does it say that we are different from earthly women? Carmen Valencia de Martínez is the mother of four children, a faithful believer in Jesus and a promoter of the Gospel. In the six chapters of her book, she has clearly established the relationship of a pastor’s wife with her husband, her children, and the Church. Guided by the Almighty, the messenger of the Creator had made a unique document from a refreshing perspective based on the sound doctrine. Beloved fellow servant and sister, you may be experiencing difficult times, you might be feeling alone even if you are surrounded by many people. Maybe you are going through hardship and have nothing to offer to your children. Perhaps you are financially limited. You really need God’s strength to keep serving Him with joy, without sadness or complaints. Maybe you are enduring a divine process that requires you to cross a spiritual tunnel with no visible light at the end. Your heart may be crying out to God, and you probably think that you will not be able to take it anymore. But your life will not be desert forever. The skies will open in your favor soon enough. cepting Godâ&#x20AC;&#x2122;s grace. After ten years of service in East Hampton, he moved to Litchfield in 1810, where he began a revival to fight sin in his country. His striking messages quickly gained national notoriety. He lived in Litchfield for sixteen years, where the missionary spread Christâ&#x20AC;&#x2122;s message with perseverance and saved a great number of lost souls. He promoted from his pulpit the general transformation of the then weak public morality. He also protested against excessive alcohol consumption through six sermons that were widely spread later in North America and Europe. Author of countless evangelical writings, the preacher arrived in Boston in the beginning of 1826 to take over a congregation where he proved to be a fierce defender of the sound doctrine. Loyal to the principles of the Scriptures, he opposed rationalism and the traditional Church. He also led a spiritual awakening to spread the Word. Lyman Beecher died in New York at the age of 87, on January 10, 1863. The minister of Jesus-Christ transcended his time and became one of the most prestigious English-speaking preachers. His work for Christianization was widely spread from America to the rest of the world thanks to his publications and books, which earned him a great prestige. Beecher’s pastoral work also bore fruit through his thirteen children, who continued his efforts in favor of the faith in the Lord. Seven of them, including Henry, became ministers; his daughter Harriet became known with her “Uncle’s Tom Cabin;” and his daughters Catharine and Isabella became advocates of the education reform and women’s suffrage. The figure of Lyman Beecher, who is buried in the cemetery of Grove Street, goes beyond the evangelical context, and his influence on different social issues, such as the abolition of slavery and the women’s rights movement, is undeniable. Nevertheless, his greatest contributions lie in the spread of Christianity. GROWING distant from God was the worst mistake of his life. This alcohol and drug user would always make false promises to God so as to be healed. He never imagined that he would finally keep his word while on a hospital’s bed. He had been to one of his usual parties and was drunk driving a motorcycle when he had a serious accident. As if it were a movie, he was thrown into a post and his motorcycle flipped over until it finally fell on the road. One day, when he was 26, Andrés was stabbed at some square in Madrid by a love rival. He had stretched out his hand to a fellow countryman to shake hands, when other man stabbed him in cold blood. The reason was that the man was jealous of him dating his ex-girlfriend. Andrés was still conscious when he was taken to the ER. He heard the physicians say that he had to undergo an emergency operation. It was all hustle and bustle in the room, and he thought: “This is very serious.” And it was. His life was hanging by a thread. Andrés got better, but he did not keep his word. He did not even try. He just forgot about it and returned to his old ways as soon as he left the hospital. He never even thanked the Lord for keeping him alive. When his girlfriend saw him, she thought that he had had a cerebral infarction. With the help of some people who arrived afterwards, he was taken to a hospital. He underwent lots of tests until he was diagnosed with an aneurysm that he had since his birth but had never been detected before. ed his promise of devoting to Him. This time it would be different. His true repentance would make him start all over. Andrés felt peace while in the operating room. The surgery was a delicate one and lasted many hours. Fortunately, it was a success. Andrés recovered quickly and as soon as he left the hospital he went straight to the temple to thank God and fulfill his promise. From that moment on, he rejected sin, the world, and even himself in order to follow in the footsteps of Christ. “God saved me from death,” says Andrés. He currently serves God and the church of the Worldwide Missionary Movement in Madrid, Spain. He lives alone with his mother and he spends time with his son whenever he has the chance. He is happy because Christ changed him and he is fulfilling the promise that he made to Him that day. “I must work the works of him that sent me, while it is day: the night cometh, when no man can work. As long as I am in the world, I am the light of the world.” John 9:4-5.
wide Missionary Movement and to take part in this final action to win souls for Christ while it is day. Jesus told his disciples in more than one occasion: “I have meat to eat that ye know not of. Therefore said the disciples one to another, Hath any man brought him ought to eat? Jesus saith unto them, My meat is to do the will of him that sent me, and to finish his work. Say not ye, There are yet four months, and then cometh harvest? behold, I say unto you, Lift up your eyes, and look on the fields; for they are white already to harvest. And he that reapeth receiveth wages, and gathereth fruit unto life eternal: that both he that soweth and he that reapeth may rejoice together. And herein is that saying true, One soweth, and another reapeth. I sent you to reap that whereon ye bestowed no labour: other men laboured, and ye are entered into their labours” ( John 4:32-38). “I must work the works of him that sent me, while it is day: the night cometh, when no man can work. As long as I am in the world, I am the light of the world” ( John 9:4-5). “Now the Lord had said unto Abram, Get thee out of thy country, and from thy kindred, and from thy father’s house, unto a land that I will shew thee.” Genesis 12:1.
projects. Regardless of the appointment, or the title, or the position, leaders do not crave those things, but they want to serve the Lord. The Lord had said to Abraham, “Get thee out of thy country, and from thy kindred, and from thy father’s house, unto a land that I will shew thee” (Genesis 12:1). When Abraham listened to these words, he seized the moment; he did not care about the challenge, but he thought of the blessing. God told him to leave the comforts at home, his family and everything else behind. It must have not been easy to answer to God’s call, but Abraham left everything and committed to God’s purpose; and as a result, he gained new experiences and broke the chains of the past. Sometimes, the past stands in the way and becomes such a strong burden that people get stuck in their present. How sad it is when days and years go by and we remain in the same place, doing the same things. That is why some pastors and churches are currently stuck, because they continue to be and do the same. God gave Abraham the hope of being the father of a nation, better yet, the father of many nations. Therefore, Abraham felt the urge to follow this great vision. The Lord had told him, “Get out of your land and of your relatives, and from your father’s house, to the land that I will show you.” He was not given a specific address, only a vision. From Abraham’s experience and process to reach the Lord’s goal of making him the father of nations, we learn the following: 1) The vision has to start with God´s priorities; 2) the vision must connect with the identity of the leader; 3) the vision has to include others; 4) the vision has to be greater than the leader; 5) the vision has to connect with the deepest convictions of the leader; 6) the vision has to be tangible and easy to communicate, and 7) the vision has eternal value. May God help us not to lose this vision! ““Can two walk together, except they be agreed?” Amos 3: 3. TOGETHER, EXCEPT THEY BE AGREED? crucifixion is also part of walking and agreeing with God. Ephesians 5:18 gives another condition: “…be filled with the Spirit…” The Spirit dwells in all believers who have been born again, but we also need the covering of the Holy Spirit to strengthen our Christian character and be like Christ. Through baptism, we receive the Holy Spirit, which is an anointing of power and results in a fruitful life. A thorough study of the Bible by each one of us will make us find other forms of agreement with God, so that we can walk with Him. Amen. saw was a woman with very thin legs on a wheelchair. I said to the Lord, “Look at her, she is waiting for you, not me. If you don’t do something for her today...” Suddenly, I felt like a fire ball falling over me, I felt the power of God. The handicapped woman exclaimed, “The preacher is on fire!” So I opened my eyes and our eyes met, and I said, “Stand up in the name of Jesus Christ.” At that moment, she jumped and ran, then came towards me and thanked me. The atmosphere was filled with God’s presence and other attendees also said to have also been healed. On that day, many embraced Christ. In Christian life, problem shape the character and trial makes us grow. From what difficult situation have you learned the most? Once, someone from the congregation defamed me. When I found out, I told it was a lie, and I was furious. I looked for advice from an elder, a man of God. I told him and in some way I played the victim. He laughed and said, “Relax, this is good for your training. If you want succeed in the Church, pretend it never happened.” That experience has been very useful for me. I do not care what they say anymore. The older have to prepare the younger, the generation to come, to face this reality. There is neglect with regard to young people. Pastors must not lose sight of them because they are the generation that will rise up in the midst of war. the generation to come, to face this reality. There is neglect with regard to young people. Pastors must not lose sight of them because they are the generation that will rise up in the midst of war. What challenges can you leave for future generations? I leave three challenges. First, be prepared for the life of Christ. Without holiness, no one will see the Lord. Second, serve God without looking for a position or profit. Third, die with the sword in your hand, because many have died for preaching the Gospel. This kind of death is worth it. A quick report of the work that Worldwide Missionary Movement is making in America and throughout the world. The Holy Bible states: “And they, continuing daily with one accord in the temple... And the Lord added to the church daily such as should be saved”. (Acts 2:46,47). The workersâ&#x20AC;&#x2122; promotion ceremony was also held, in which seven workers, eleven licensed ministers and four ordained ministers were recognized. Likewise, the Worldwide Missionary Movement appointed reverends Jimmy Moreira, Daniel Ortega and Wilson Cruz as new presbyters of the congregation in Italy and entrusted them with the task of expanding the scope of action of the Work. In the meeting, the ministers of Christ regret the accident that had taken place two days before the start of the 8th National Convention. Forty-three people were killed when the Polcevera Viaduct collapsed in Genoa. The preachers asked the Lord to comfort and strengthen the families of the victims. The WMM in Spain also held four mass baptism ceremonies in June and July. The most recent was organized by Zone 1 and took place on July 28 in the province of Lleida, where thirty-five believers joined the Lord’s flock. On July 14, Zone 2 held the sacrament in the province of Segovia. Twenty brothers descended into the waters of the Eresma River to seal their surrender to the Almighty. On the same day, Zone 3 chose the town of Ribarroja del Turia, in the province of Valencia, to baptize eight believers who chose to embrace Christ as their redeemer. In the meantime, Zone 5 used the city of Santander, capital of Cantabria, to baptize eight faithful who received the Lord in their hearts. as that of families who live near the evangelization areas who listened to the Word. By the end of the event, Sister Ninahuamรกn revealed that many children of different nationalities accepted Christ as their Redeemer. She also stressed that the VBS held in Brussels strengthened the evangelizing work done by the congregation in the capital of Belgium. faith and hope to local students. He and the school authorities agreed that the WMM in Uganda would teach Spanish every Friday. The agreement signed between Reverend Espinoza and the school representatives was executed on August 10, when the lessons began among great expectation. The agreement also established the provision of a classroom with a capacity of one hundred students. Now, the presence of the Lord is evident in Mulago. Amid poverty, drugs and prostitution, the Gospel of Christ begins to gain ground and the number of people who convert to Christianity and embrace the evangelical faith increases every day. Another goal of the WMM in Uganda was met in July when the community of Kamwotya was evangelized. First, the Word was preached to a woman. Then, in August, the message of the Lord was shared with more people thanks to the work done by missionary Espinoza and his workers. the world and seek holiness. â&#x20AC;&#x153;We all know that without holiness nobody will see the Lord,â&#x20AC;? he emphasized. In this event, which brought together delegations from two African countries for the first time, Pastor James Delgado, a Peruvian missionary who leads the Work in Mozambique, also shared the Word of the Lord. FAMILIES UNITED BY GOD’S POWER The WMM in New Zealand held its first two evangelistic conferences with the main objective of spreading the Good News of the Almighty. Under the motto “Families United by God’s Power,” the WMM in New Zealand held two conferences in two important areas of Wellington: Lower Hutt and Porirua. This congregation is less than one year old and is led by Rev. William García, a Peruvian missionary. The first meeting took place in Lower Hutt, located on the banks of the Hutt River, gathering more than fifty people eager to listen to the Gospel. Reverend Enoc Ramos, National Supervisor of the WMM in Australia, preached the Word. In the meantime, the second conference was held in Porirua, also located in Wellington, and was attended by a large group of men and women. In addition, Pastor Ramos was again the instrument chosen by the Lord to evangelize the attendees. GOOD NEWS FOR THE NETHERLANDS The WMM in the Netherlands held an evangelistic campaign to share the Good News in the Netherlands. The event of the Worldwide Missionary Movement in the Netherlands took place in Herenwaard Square in Ijsselmonde, a borough in southeastern part of Rotterdam. It began with the preaching of Sister Rosanna Roggeband, who prayed to God for the future of the Netherlands and asked Christ to save lost souls from sin. Then, local pastor Abraham Roggeband preached the Word of the Savior with a message based on John 14:6. In his presentation of the Holy Scriptures, the minister told the attendees that only Jesus Christ is the way, the truth and the life. In this way, the Worldwide Missionary Movement in the Netherlands brought the Gospel to the inhabitants of Ijsselmonde, which has a population of about 60,000 people.There, the Work begins to gain ground with the power of Christianity and the sound doctrine. Wedding Operation Lodebar Anniversary and July 8, the Worldwide MissionChildren Campaign aryOn Movement in Colombia, through On August 12, in the central temple of the Work in Guayaquil, the Worldwide Missionary Movement in Ecuador celebrated the 35th wedding anniversary of Reverend Eugenio Masías, National Supervisor of the WMM in Ecuador, and his wife, Sister María Rosa de Masías. Reverend Lorenzo Cuero led the ceremony and preached the Word of God. In his speech, he stressed that Pastor Eugenio and Sister María Rosa are faith role models working for the spread of the Gospel. Reverend Masías, for his part, thanked the Ecuadorian faithful for their love and said, “María Rosa and I split for two years because our marriage was dead. But God gave it new life and we have lived hand in hand ever since. Last year, doctors said she was terminally ill. I cried, but I never lost faith. I knew that the Lord was going to work a miracle. Today I thank Christ for healing her.” The day before, at the River Oeste stadium of Guayaquil, the WMM in Ecuador held an evangelistic campaign for children under the theme “Let the children Come to Me.” Minister Masías shared the message “Demonic Possession in Children,” based on Mark 9:14-21.
its church in the neighborhood of 7 de Abril in Barranquilla, celebrated the first anniversary of the “Operation Lodebar” project. Its main objective is to bring the Gospel every two weeks to those who have been marginalized by society and now roam the streets amid loneliness, drugs and prostitution. In addition to preaching the Word of the Lord, the faithful provide food to the homeless. Through this initiative, led by Reverend Carlos Rodelo, the members of the WMM in Colombia fulfill what Jesus Christ determined in the parable of the Good Samaritan (Luke 10:25-37): “Thou shalt love thy neighbour as thyself.” To celebrate the first anniversary of “Operation Lodebar,” a special event was held and attended by pastors from Zone 7 of the WMM in Colombia. Servants Concepción Castro, José Royero, Jonny Camargo and Martha Villa preached the Word in various places in Barranquilla. In addition, Minister Rodelo revealed that this program seeks to reach more cities. GUATEMALA District Fellowship On August 12, the Worldwide Missionary Movement in Guatemala held a District Fellowship in the facilities of the La Certeza campsite, located in the village of Las Canoas Zone 25, under the motto “Celebrating a Great Victory.” Reverend Álvaro Garavito, International Officer of the Work and Supervisor of Central America, preached the Word of God with the message “Destroy the Enemy First to Win the Battle,” based on Jeremiah 1:10. He said that the Lord’s people must face evil until Christ comes. URUGUAY Youth Fellowship On August 18, the Worldwide Missionary Movement in Uruguay held its Youth Fellowship in the central church of Montevideo. The event, which takes place on a monthly basis, aimed to achieve the unity of the youth of the Work of the Lord. The meeting was attended by believers from the temples of Montevideo and Canelos. Likewise, many guests came to listen to the Word of God and know about the healing power of the Gospel. At the Youth Fellowship, the good news of Jesus Christ was shared by Reverend Carlos Magallanes, National Supervisor of the WMM in Uruguay. On August 11, the Worldwide Missionary Movement in Puerto Rico held its Children’s Fellowship in the town of Barranquitas. The event was attended by a significant number of little followers of Christ. The spiritual event, also attended by Reverend Rubén Concepción, International Secretary of the WMM, was led by the outgoing children’s leader, Sister María T. Alicea, who gave her testimony about the evangelizing work she recently did in the Dominican Republic. In addition, Pastor Concepción urged parents, leaders, teachers, family and friends not to stop or hinder God’s purposes for children, since they are one of the most valuable treasures of the Work. The new children’s leader of the WMM in Puerto Rico, Sister Nadine Lugo, read biblical passage 2 Timothy 2:14-21 and spoke about the author of the Second Epistle to Timothy, the apostle Paul, who exhorted the young pastor show himself e approved to the Lord. The event ended with a prayer on the altar in which the faithful prayed for all the Christian children of Puerto Rico and for the Holy Spirit to protect every child who has decided to follow Christ. On August 3 and August 4, with the motto “Faithful Man Who Can Find?,” the Worldwide Missionary Movement in Panama held its first National Men Fellowship, which took place in the provinces of Bocas del Toro, Chiriqui and Panama. In the province of Panama, more than six hundred believers gathered to be nourished by the Word of the Lord, which was shared by reverends José Arturo Soto, International President of the Work, and Epifanio Asprilla, National Supervisor of the WMM in Panama, and pastors Alcides Ramea, Mariano Smith and Agustín Batista. In the meantime, in Bocas del Toro, over two hundred believers gathered to worship and praise the Creator. In Chiriqui, a similar number of faithful gathered to worship the Savior. In this way, more than a thousand men of the WMM in Panama came together to recognize Jesus as their redeemer. The Worldwide Missionary Movement in Australia held, from June 22 to June 24, its National Fellowship in the temple of Dianella, a town located on the outskirts of the city of Perth. The spiritual event’s motto was “The Trumpet Will Sound, Christ Is Coming Soon.” The Fellowship was attended by people of diverse cultures, and Reverend Enoc Ramos, National Supervisor of the WMM in Australia, was the spokesman chosen by the Almighty to share His Word. The Work’s event allowed God to touch many hearts. JUAN MARTÍNEZ I’ve read the magazine’s messages and they’re a blessing. I was looking for Christian magazines, and only Impacto Evangelistic has cleared up my doubts. Thank you again. From Jalisco, Mexico. Dear pastors and brothers in Christ, I’m writing to ask you to pray for Sweden and Denmark. My husband is Danish. He converted to Christ a few years ago. We’re praying that the Gospel can be preached in Denmark. I say goodbye with great happiness and joy. Blessings. From Malmö, Sweden. I thank God for the many wonders He’s done in my life. I’m a young man who used drugs for a long time. One day I found this magazine and read the testimony of someone who had been changed by the power of God. It really touched me. I immediately felt a great need to ask God for help, and in His great love, He helped me. From Lima, Peru. ANA CALDERÓN God bless all the brothers who work in the Work of the Lord, especially in the Impacto Evangelistic magazine. What a beautiful magazine. It edifies our soul more and more every day. I invite you, friend and brother, to support the Work of God so that it can carry on. God bless you. From Caracas, Venezuela. RAMÓN SANTIAGO I’d like to thank the Lord for allowing me to write you for your successful and versatile ministry. 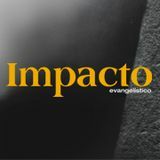 I’ve been reading Impacto Evangelistic for many years now. Ever since 1984, I pray and contribute to see this movement reach the whole world, and I’ll do it until the Lord so desires. I’m so happy. I’ve received all the magazines you’ve sent. Thank you for keeping me on the mailing list. From New York, USA. CARLOS OLIVARES I’m very grateful to God because He led me to read the magazine. Now I’m full of His Word and spiritual knowledge. God bless you, brothers, for making this great magazine. From Colon, Panama. OMAR RODRÍGUEZ Thank God for the magazine’s helpful information. The topics discussed are a blessing. We’re using some of their articles to train ourselves and form study groups to train others, so that they gain the knowledge to do the evangelistic work in our country. From Madrid, Spain. LUIS LÓPEZ Dear brothers, I greet you in the precious name of our beloved Savior. I’m forever grateful for the beautiful blessing and great privilege of being part of this Work. I always receive the magazine. I love its edifying messages and the pictures of the events that take place in different places. Brothers, I always pray the Lord to continue blessing you. From Mayagüez, Puerto Rico. ALFONSO GONZALES God bless you richly, brothers in faith. Congratulations. The glory be to God. This magazine is great, its articles are deep and really interesting. From Quito, Ecuador.